Beer has many uses, some more productive than others, but researchers at the University of Boulder in Colorado have just found another one. There’s a technique that researchers and nonprofits use in order to move our society towards sustainability. It’s taking waste created from one industry and using it for something productive in another. This is a win-win situation for each industry. It reduces waste in one and reduces the need for raw materials in the other. The planet wins as well because each industry ends up using fewer resources and producing less waste. This is nothing new. It is essentially the basis of all recycling and upcycling. But the increased popularity of this method in the last few years is encouraging. It takes a lot of ingenuity to discover new ways to do this. Luckily, there are plenty of forward-thinking people out there making this type of work their passion project. 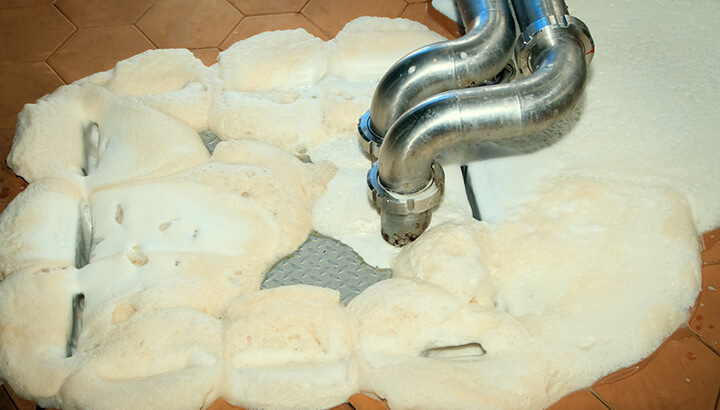 Researchers found that a fungus cultivated from brewery wastewater can be used to create energy storage cells. Using biomass in this way is not new, but it is not something that is widely used either. While the idea of creating battery electrodes from living matter is already out there, this research has the potential to take things to another level. Beer wastewater is high in sugar. It provides an ideal environment for the fungus Neurospora crassa to grow. The researchers then manipulate the physical and chemical properties of the fungus in order to create natural lithium-ion electrodes. The process also ends up cleaning the wastewater as well — it’s a double-win. As the number of independent brewers increases, wastewater from craft breweries is an emerging issue for many municipalities. This can put many local governments at an unfortunate impasse. They have to choose between an emerging local business and increased demand on local water treatment systems. By placing fines or other penalties against local brewers, the government risks losing these businesses to other areas. This is where a significant financial potential exists in the technology developed in Boulder. The authors behind the study patented the technology. They formed the company “Emergy,” which aims to commercialize their innovative discovery. 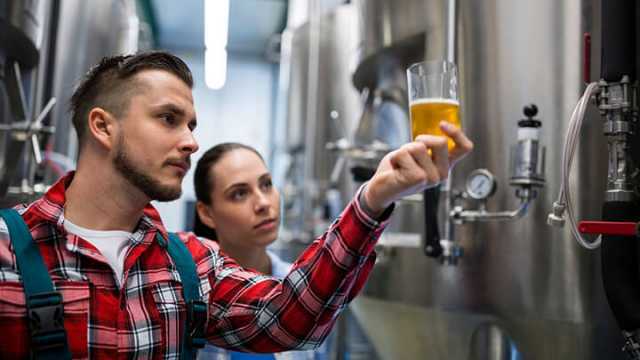 If scaled up and introduced to larger beer manufacturers, the technology could save companies significant costs on their wastewater. It could also decrease the demand placed on municipal water treatment systems. The wastewater then becomes a product rather than waste, and companies could create an additional revenue stream. Companies with a need for lithium-ion electrodes would also benefit. “We see large potential for scaling because there’s nothing required in this process that isn’t already available,” stated Huggins (he must be giddy at the idea of paying off his student loans much quicker than he thought). The researchers have now partnered with a brewing company, Avery Beer, to begin a large-scale pilot project. Avery Beer is local to Colorado and has worked with numerous environmental and community organizations in the past. So if you are from Boulder, and you’re looking for a beer that benefits the planet, local jobs and technological innovation, Avery beer is your brew! Independently-brewed beer has carved a niche for itself in the beer market, which was previously dominated by large corporate breweries. 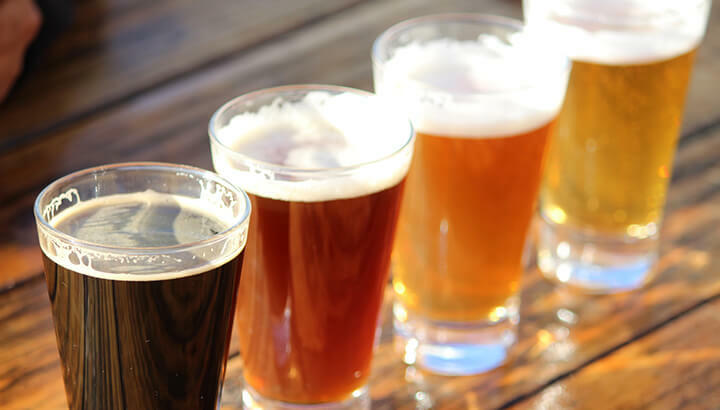 As a result of the emergence of craft brews and independent brewers, experts have developed many options that are suited towards the socially conscious beer consumer. This Oregon-based brewery seems intent on being the most sustainable beer out there. Not only does the company give leftover yeast extract to local farmers (to use as animal feed), they also invest in renewable energy projects. They also use less than half the water of average breweries and support local charities. Bison Brewery, based out of Berkeley, California, became the first ever brewery recognized as a “B Corporation” in 2010. To qualify for B Corp status, a company must adhere to strict standards of socially and environmentally ethical practices. Bison Brewery is involved in a range of activities, from re-purposing waste to promoting organic agriculture, as well as supporting local charities. Not a creative name for this Brooklyn-based brewery, but what they lack in marketing ingenuity they make up for in sustainability. The brewery is powered solely using wind energy, making them the first New York company to switch entirely to renewables. Additionally, the brewery provides local farmers with their spent grain leftover from the brewing process. Any one of the above options is a fantastic excuse to have a beer! A few more can be found here. Hey Buddy!, I found this information for you: "Beer: Now Able To Store Energy". Here is the website link: https://www.thealternativedaily.com/making-batteries-from-beer/. Thank you.